We also remove mould spores, pollen particles and other allergens that can cause you breathing difficulties and health problems. 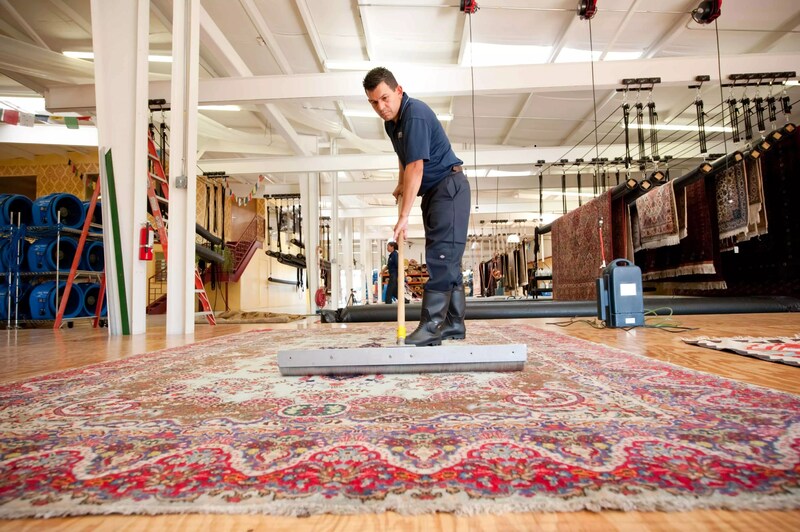 By thoroughly cleaning your rug we can give you a healthier environment and ensure that you can breathe easier. And we do it all with the most customer-friendly of services. We work with your schedule and ensure that our clients are satisfied every time. You will notice a difference when we are done, and you will love how your rug looks. Have a few rugs to clean? We offer a collection and delivery service for 3 or more rugs. Contact Vale Carpet cleaning for all your professional rug cleaning needs. No one else gets your rugs cleaner. We don’t just clean carpets! No matter how old your rug is, what it is made out of or how dirty it has become, we can handle it with care and rejuvenate it. We treat your rugs with exceptional care, ensuring that they are not damaged by harsh chemicals or rough cleaning measures. And not every rug is cleaned the same way. We understand that some kinds of rugs will require dry cleaning while others can be rinsed and cleaned with pressured water. We know how to get deep-rooted stains out and to remove dirt and debris that is embedded deep within your rug fibres. We can even perform spot stain removal to get rid of those particularly stubborn stains left behind by beverage spills and pets. You will be amazed at how clean and spotless your carpet looks after we are through. We do more than just get out stains and dirt. At Vale Carpet Cleaning our professional rug cleaning services can make a huge difference in the way your rug looks, smells and feels. We clean the rugs of all properties in Cardiff, Penarth, Barry & Cowbridge areas. “Our rugs look and smell so much better, highly recommended“.